Note that this is the same work as The Acid Diaries, which is a newer version. 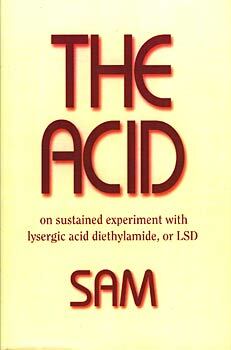 The Acid reopens the dossier on LSD. During several years self-experiment the author evolved a safe (as safe as it's ever going to be) approach to handling the drug, in the light of which he began to study the whole field of psychedelics. Many passages from other people's reports of their experience are quoted here paralleling his own: the beauty, the sudden understandings, the fear...even the same disconcerting episodes of religious burlesque. Visions were serial--that was the breakthrough insight. They told an ongoing story, and as such they have been left to speak for themselves. The writer, however, makes no secret of his opinion that a new dimension to exploring and celebrating life is opening up. One powerful enough to catalyse a new culture--something which, given the bankruptcy of the present one, might be no bad thing.